Last Christmas, my sister and I took a trip to Florida. Our cousin Johnny was also visiting his parents in Florida at the time, but work obligations called him back to Houston early and we didn't get to meet with Johnny. While planning another trip, it so happened that Houston is a main transfer hub. Everything worked out and I planned a 3 day stopover to visit my cousin before continuing on the next leg of my journey. On Saturday morning, we woke up early but leisurely had brunch before heading to Bass Pro Shops. I had ordered some sun proof clothing for pick up and there were also things I needed to pick up. By the time we stepped out of BPS, it was already 1pm and getting real hot. There is a creek close to the BPS that I've learned to hold Rio Grande Cichlid. The Rio Grande is the only native cichlid species to the US and it is specifically found in Texas. While in Texas, I really wanted to catch one. My cousin was not too certain if fish would bite during the heat of the day. It was already 93F and humid. 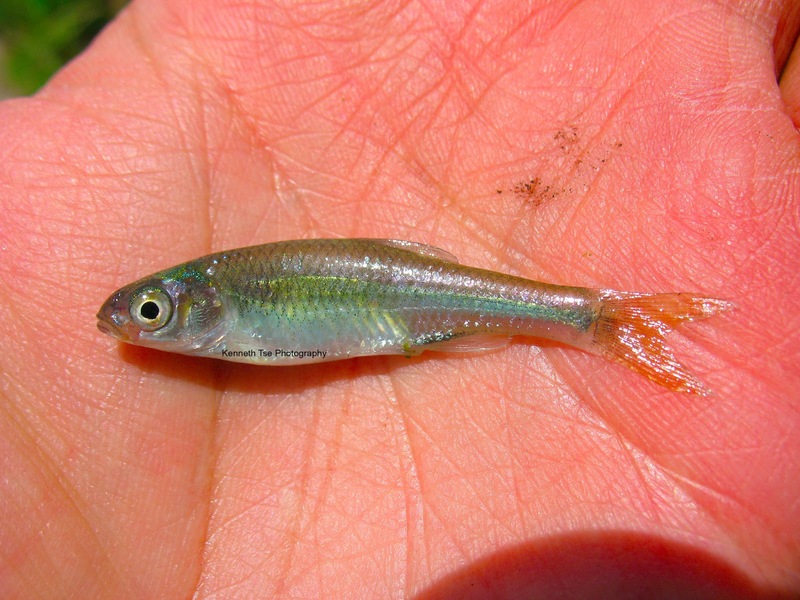 I was more worried that the Rio Grande Cichlid could be elusive. 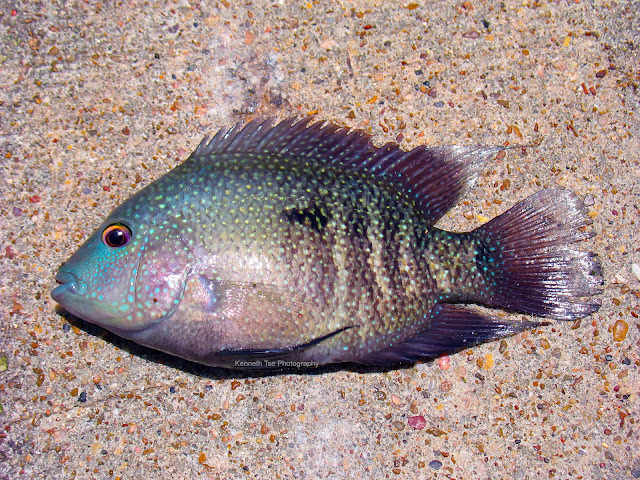 However, upon arriving at the creek, there were Rio Grande Cichlid all over the bottom hiding amongst rocks! I quickly rigged up a simple float rig with a #8 hook. I put on a segment of nightcrawler and sent it toward a pair of Rio Grandes. It was just that easy catching one! While I'm hunting for Rio Grandes, my cousin was tossing a plastic worm around for bass. They didn't seem to be very active in the afternoon heat, but the finesse presentation. Instead, Johnny put on a Rat-L-Trap looking for a reaction bite. 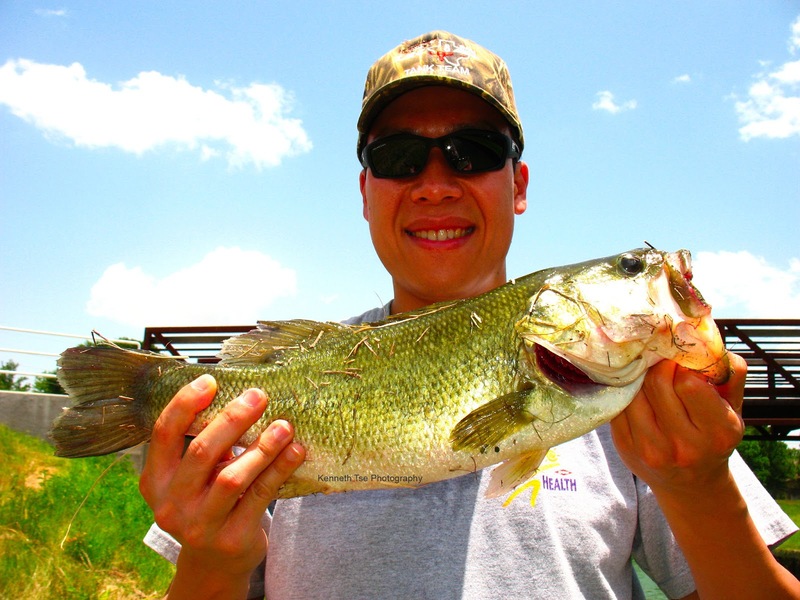 We were surprised that this 2lb 15oz Largemouth Bass wanted to play! I was hoping to find some Smallmouth Buffalo around, but we didn't see any at all. The worm fished on bottom was untouched as well. There was a Spotted Gar hanging out. People reported Alligator Gar here once in a while but none was seen this day. Without much more action aside from Rio Grande Cichlid and Bluegill Sunfish, we decided to end the afternoon fishing at 4pm. We had a 2 hour drive ahead of us, so the plan was to go pack some gear for the next day, have dinner and get on the road so we could reach our overnight lodging before 8pm. We had a charter to take the next day.